There are basically two animals that see us as food: crocodiles and polar bears. 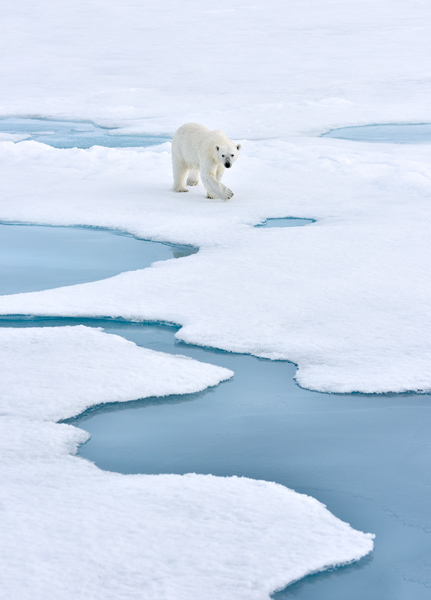 This polar bear was walking straight at us from quite a distance away, and if we hadn't been standing safely on our little ship, this would not have been a situation where you want to find yourself in. The bear walked right up to our ship, walked around it, and at some stage was leaning against it while standing on its hind legs. As the bear approached us, I tried to get a higher vantage point to better show the shape and the colours of the water.